Structural insulated panels are quickly becoming a popular choice for building homes focused on increased energy-efficiency. Increased energy-efficiency means you will pay less for keeping your home warm or cool. This article aims to provide an essential guide to this innovative construction method since not everyone is familiar with what a SIP is. What is a SIP panel? The type of SIP UK constructors use typically consists of two oriented strand board skins bonded together with insulation foam in between. These panels come according to the size and height requirement of a construction project ranging from heights of 2.4 to 7.45 metres. Once cut to the desired size, they are ready for installation to form walls, roofs, and floors. Insulation core material. The insulation core inside each SIP comes in two types: expanded polystyrene or urethane core. A polystyrene core consists of thousands of tiny foam beads while the urethane core is rigid and free of fibres. These two types of insulation differ in cost and thermal performance. Panel thickness. Polystyrene core SIP panels have a thickness of 95mm to 195mm. To get better thermal performance, you need to choose a panel with greater thickness. Jointing method. The most common jointing method for SIPs is solid timber for greater stability and strength. Although in some cases, small panels used in jointing increase air tightness and further improve thermal performance. Overall, SIPs are quite flexible regarding design. Your contractor can help you choose the right SIP for your project. Using SIPs to design a home also has additional benefits. If you are designing vaulted ceilings, you won’t need roof trusses which can double the floor to ceiling height of the home’s top floor. If you are also considering an open floor plan for your home’s interior, you can easily accommodate it by using SIPs which come in long floor and roof panels. While SIPs offer design flexibility, there are still some considerations when using SIPs to build your home. First, you need to work with a designer who can ensure that you get the most out of the cost and use the product to its full potential. Another consideration is the size of other construction materials you are using together with SIPs. All construction materials come in standard sizes, so you need to build your SIP design around these sizes. Are there limitations to using SIPs? 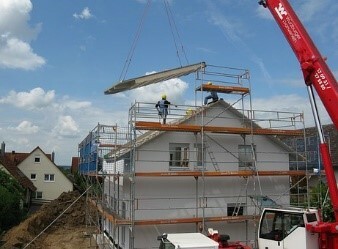 Using SIPs has a lot of benefits especially if you are looking for a home with high energy efficiency. However, SIPs need to be used wisely to justify the cost. Another challenge in building with SIPs is how you can manoeuvre them carefully to prevent any problems during the building process. In most cases, you will need to use a crane to transport panels on-site and facilitate easy installation. Lastly, you have to pay attention to all construction details to avoid experiencing any problems while building the home. Your mortgage is not just a matter of settling on a plan and paying it off. A lot of factors play into creating your mortgage plan, and it, in turn, can affect the way you live for the next five to twenty years. When the parts of your lifestyle that help establish your mortgage change unexpectedly, you must be able to adjust. When life throws you a curve ball, you need to look at alternate ways to improve your mortgage situation. A product transfer is when you are looking at other plans/products with the same lender. There are two cases when a product transfer may seem ideal. The first is when your circumstances change, and you are looking at a different payment method. The new alternative could be smaller payments over a more extended period. The second is when your lender offers better rates, typically lower, with a different plan. Even though your circumstances haven’t changed, and you can comfortably pay your current rates—shifting to a new plan could give you more room financially. The two cases may seem similar with the end goal being a new product with lower rates, however, what prompts people to look at other products are different. The first is because of necessity and the second is by choice. The benefit of a product transfer is that you know the company well enough and they know you. You do not have to go through the same amount of paperwork when you initially got your mortgage. 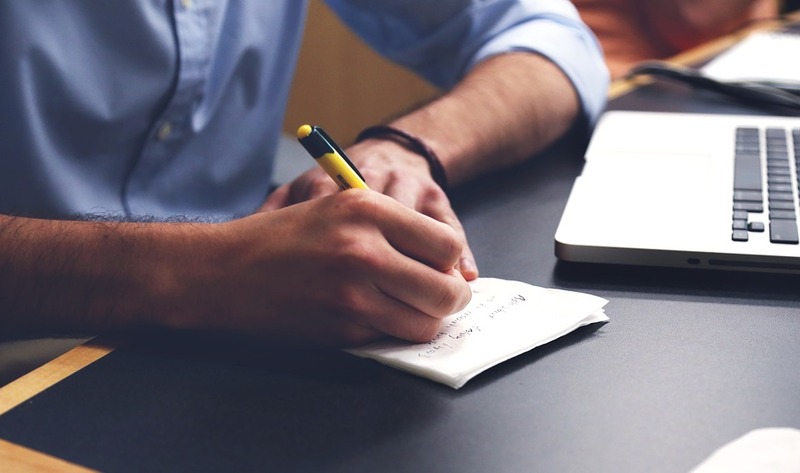 They might ask you to redo certain papers, but it is mostly to update your information. To know more about product transfer, contact your mortgage adviser and see if you are missing out on any deals from your lender. Remortgaging is a term that is often confused by homeowners with product transfer since they both seem to look for lower rates. Remortgaging, though, is about shifting your mortgage from one lender to another. This jump between companies often happens when a competitor has lower/better rates. You can get extra help with remortgaging through websites like mortgage-wise.co.uk. The benefit of remortgaging is that you find a better fit for you and your circumstances. However, you need to be able to look at the fine print. Before remortgaging your home, double check if the rates are ultimately worth it after you consider the fee for changing your lender and paperwork for the transfer. If there are no extra fees, or if they aren’t as expensive as you thought, the change might even pay for itself. Since there is a distinct difference between the two, which one is better? There is no one answer to that because it all depends on when these opportunities present themselves. No one wants to suffer from back pain and muscle soreness. These problems are recurring, and even if you take medication, they are not enough to prevent the problem from coming back. If your bones and muscles are in pain, you can’t expect healing overnight. Regardless of the treatment you choose, you will go through a process towards recovery. If you don’t want surgery or excessive medication, you might want to go for chiropractic treatment. It is an alternative to the regular procedures for bone and muscle pain. It is a non-invasive process that involves adjustment of the areas affected. The chiropractic procedure only takes a few minutes, but you might need to come back at least three more times to ensure that you will not suffer from chronic pain ever again. Just like undergoing surgery, you can’t expect to heal the next day. You need to go through a process of recovery, and it is not comfortable at first. After the first trip to your chiropractor, you might experience flu-like symptoms. Don’t fret if you start feeling this way. It is normal, and you need to go through it on your way to recover. This stage is the toxic relief stage where your body starts reacting to the adjustments made. Your body releases negative energy after the treatment, and in the process, you won’t feel well. The good thing is that this process is quite rapid, and the negative energy expulsion will soon pass. After the first adjustment, your chiropractor will require you to come back a few more times. Follow the order if you want to recover. You also need to avoid doing strenuous physical activities since they could trigger the problem. Since your body is starting to eliminate toxins, it also helps if you also avoid eating dishes that are quite toxic, like processed meat and fast food dishes. Get enough rest and don’t go back to work yet. You need to take some time off until you are well again. If you need to start working, request that you only do simple tasks. However, even when you are seated at work, you still need to be careful. Observe proper posture. Use a horseshoe neck pillow to support the neck. You need to sleep early and have enough hours of rest to avoid further pain-related problems. You also need to change your pillow, so it is appropriate given your condition. You can also replace the mattress so that it is firm. This type of bed is right for people with chronic pain. Once you feel like you are well, still avoid doing harmful activities, or else you will suffer from injuries again. Now that you understand the impact of chiropractic care, you need to make a reservation. There are a lot of people seeking physiotherapy in Cirencester. If you are in the area, you need to make an appointment soon to get immediate treatment. Digital Nomads are not only envied but make heads turn wherever they go. After all, who wouldn’t want an exciting life full of new journeys and exploring new places and earning money side by side? It is like being on vacation forever and still be able to make your living! Florida is getting immensely popular among digital nomads and for good reasons. The sunshine state of America has lots to offer and is just perfect for adventure, culture, entertainment, food and many other touristic things to do. Few cities or states offer the digital nomads the way they like their things to be. As they typically travel a whole lot, they prefer not to stay in one place for too long. However, the cities they travel to muss have good basic facilities, should be exciting and provide good internet connectivity. Just rent a villa in Florida and enjoy your life! You can always shred it with other digital nomads like you. Why Digital Nomads prefer Florida? When it comes to accommodating digital nomads and their lifestyles, Florida ranks high locations. The digital nomads can travel across Florida and enjoy traveling while still working. One of the most apparent reasons is the weather and one can spend their days strolling on the beach in the warm, breezy weather. You can relax on the beach and take your laptop with your and soak up the sun. Nothing could be better than working and enjoying at the same time. What adds to the excitement is the fastest growing art scenes of Miami and the frequent celebrity visitors here. The nightlife that is buzzing and never seems to end. Famous for its cultural diversity, cuisine and its colorful history Florida attracts a liege number of tourists as well as digital nomads. Florida holds enormous appeal for those pursuing the nomadic lifestyle. There are plenty of cities where one can head for, starting with the capital, Miami. Then there is Orlando, Jacksonville, Tampa, St. Petersburg, Cape Coral, Fort Lauderdale and more. There are great tourism-related opportunities at these cities which are high-tech and educational at the same time. While some cities are more expensive than others, it is up to the digital nomad what he is looking for. One is obviously looking for a great touristic place, enough public transportation, and a wonderful s quality of life. 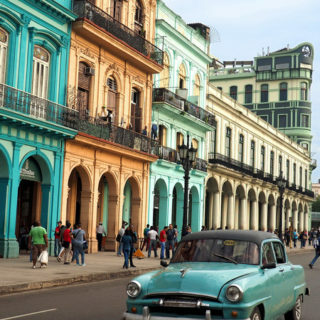 Who would not want to come here every year and enjoy the beach city and its culture? There is plenty to observe and write about. Believe it or not, Florida is one of the best states for digital nomads as there are dozens of co-working spaces and Wi-Fi spots. Although the expense of living may be higher, with a little effort, one can get a cheaper and affordable place. It indeed is an exciting place to live and work. There are plenty of locations and spots within Florida where one can find a professional location to work. There are cafes and coffee shops where or other local joint and specific places to work, that welcome digital nomad. The thriving cultural, musical, and artistic coattail of Miami is where you should begin your digital nomadic life! As the most populous city, the beautiful Miami offers digital nomads the prospect of good job opportunities along with an active, outdoor lifestyle. St. Petersburg is relatively inexpensive when compared to other cities in Florida and has lots to do. The sailing city has lots of wind, and one can feel free to work and holiday as and when they want. Orlando is another excellent option for the digital nomads. Traveling around is easy and stress-free within Florida, whether one is moving within a city or hoping form one location to another. One could use the network of public transport or hire a car and drive on their own. Most of the neighborhoods are safe and walkable. There is no shortage of outdoor and fun activities to choose from in Florida. The street life is energetic, and it is hard to get bored here. Just exploring the vibrant streets or the quieter nature is entertainment in itself. Wifi hotspots on almost every street corner and the connection is also excellent. Foodies won’t be disappointed as Florida boasts of some unique and great options when tie comes to cuisines. Although it is located towards South, the food her carries minimal influences from the neighbor states. While there are endless spots, cities, and locations for the digital nomads, there are very few that offer them a unique and fulfilling experience. Moreover, Florida is one of them. As a digital nomad, you can enjoy a lifestyle here that is easy, comfortable and productive. The state boasts of world-class facilities, corporations, and startups and thus offers a wealth of jobs for digital nomads. It is the transient lifestyle and flexible work opportunities what lure the digital nomads to Florida. Like clothing – items become fashionable, trends are born and eventually they die off and then they’re resurrected because they’re ‘vintage’. There are those household pieces that we were glad to see the back of, and there are those we welcome back with open arms. Together with Acorn Stairlifts, Global supplier of disabled stairlifts, we take a look at the retro items that have come back into our lives. Vinyl records were produced in 1950s and sprung into popularity, right up to the 1990s. After this, they were replaced by CDs, then the CD was replaced by the mp3 players and then digital downloads replaced mp3 player. However, their popularity returned as people dug out their record collection and bought new music in the classic format too. In 2016, vinyl sales grew 53% compared to the previous year. In April of the same year, Fortune reported that vinyl record sales were at a 28-year high. For many people, the quality of sounds produced by vinyl cannot be beaten by today’s digital music. Perhaps for this reason, in 2017, HMV announced that the turntable would be the top-selling product in its technology department. Companies are catering for different markets too as prices range from a reasonable £25 to £20,000 for those who want top-of-the-range technology. The chaise longue, had originated back around ancient Egypt and Greece, when day beds were around. In the 18th century, it was known as the ‘fainting’ couch so that women who couldn’t bend at the waist because of their corsets could instead fall gently in reclining position. According to interior designers and furniture retailers, the style is now making a comeback. Long Chair, is the literal English translation of “Chaise Longue”, and is recognizable as a sofa that takes the shape of a chair but is long enough to support the legs. These days, it makes a nice addition to a conservatory or orangery and provides a relaxing spot to look out onto the garden. Some are big enough for two, and can act as a sofa for couples and families. Peaked during the 1970s and 80s, the SodaStream allowed people to make their own carbonated drinks at home, through mixing flavored syrups with soda, and it was giving the tagline ‘get busy with fizzy’. The Business halted in 1996 and the product was reintroduced in 2010 to a newer market. In recent years the machine had appealed to prosecco lovers, so Sodastream Germany had launched a sparkling gold ‘alcoholic concentrate’ that allows consumers to make home-made prosecco. 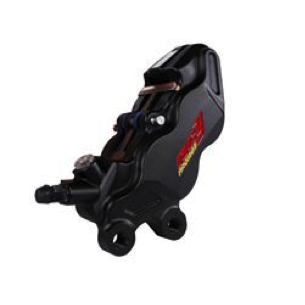 The machine has evolved over the years too, into a slimline machine that is available in a range of colours. We saw that the instant camera had soared, soon after instant film begun in 1940. People loved the novelty of a tangible picture minutes after taking it, without having to visit a store to get them printed — the invention transformed the photography market! Unfortunately, the production of these cameras had dropped with the digital camera, which took over and then smartphones became the primary tool for taking photos. With digitalised photos becoming the norm, the instant camera brings back the idea of keepsakes and with only one chance to take the photo, eliminates the obsession with capturing the perfect shot. The comeback of the instant camera has been popular, and there are many accessories that can now be purchased to support the product. For example, coloured camera cases are on sale and filters are available to take different shots. Jukeboxes were once populated within the pub scene, with many pubs across Europe having them. They give the customers the opportunity to choose the song they wanted on out of the thousands available. However, as digital downloads took over and video platforms such as YouTube gave customers access to millions of songs, they experienced a decline. However, it appears that jukebox has made a return. Chris Black, managing director of Sound Leisure (one of the last two makers of hand-built jukeboxes in the world), said that his sales doubled from 2012 to 2016 and he is witnessing a rise in popularity. He says that it’s down to the distinctive sound of a juke box, its ‘more bass-y and more boom’ and this is what is driving the sales. 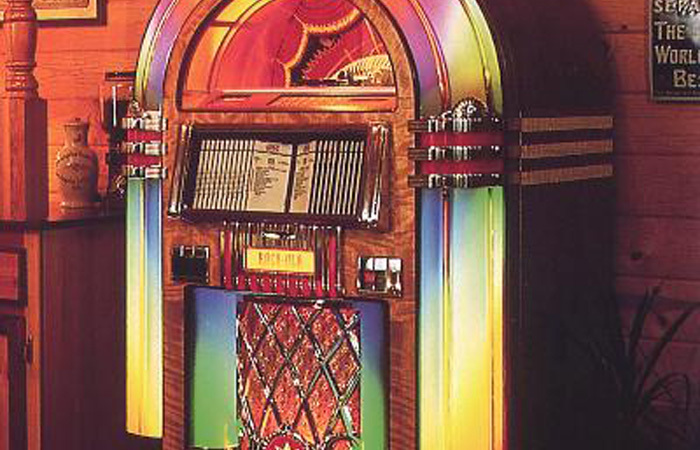 Some jukeboxes can contain up to 2,000 tracks and make a nice household item for music lovers. As we can see, nostalgia brings back the popularity of many products that we want in our home. Who knows what will be returning next! 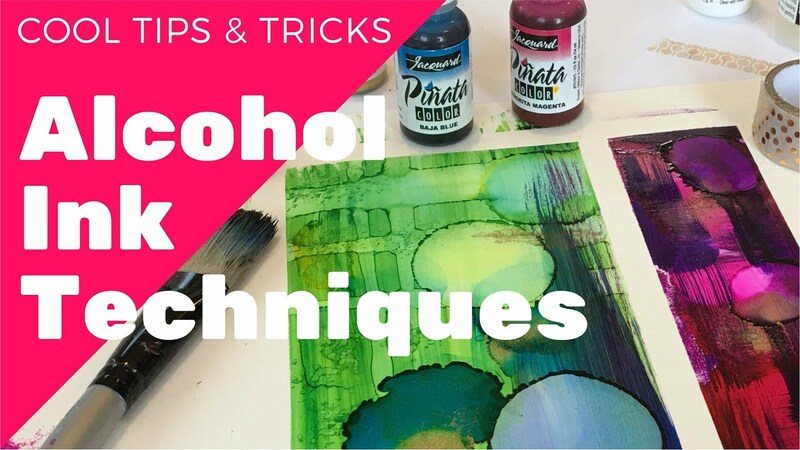 If you’re interested in learning how to use alcohol ink in order to create fun, creative backgrounds for your art projects such as stamping or card making, it’s well worth continuing reading to discover a few useful alcohol ink tips and techniques, which you may find useful! If you’re unsure of which colors will complement each other, simply opt to purchase an alcohol ink kit which boasts a few shades which have been found to work well together. If you don’t want to rely on trial and error in order to choose the right shades of ink, you simply can’t go wrong opting to purchase an alcohol ink kit, which boasts several high-quality shades. It’s well worth investing in a decent alcohol blending solution as you’ll be able to use it to lighten your colors and to clean any spilt alcohol ink off your clothes and hands. The best way to mix your alcohol ink is to use a felt applicator, which will allow you to seamlessly blend multiple colors into a new shade. While it’s possible to use alcohol ink on porous surfaces, until you’ll confident using alcohol ink, you’ll be far better off practicing your skills on non-porous surfaces such as glossy paper, glass, metal or ceramics. Once you’ve mastered the art of using alcohol ink to decorate non-porous surfaces, you’ll be able to experiment with using alcohol ink in order to decorate porous surfaces such as wood! You may want to use a felt applicator in order to create a marbled effect, which could be suitable for card making or scrapbooking. To create a marble background simply apply your ink directly to the surface which you’re looking to decorate before dabbing the ink which you’ve squirted out around your surface. Until the entire surface which you’re working with has been dabbed with ink. Alternatively, you may want to try moving the ink on your surface around by blowing through a straw directly onto the ink which you’re looking to create art with! If you’re looking to achieve professional looking results, it’s well worth purchasing or creating a few stamps, which you can use to decorate a variety of materials. Simply squirt alcohol ink directly onto your chosen stamp, before using a felt applicator to evenly spread your alcohol ink over your desired stamp. Once your stamp is sufficiently coated in ink, quickly apply your stamp to your surface, in order to create a clear stamp. So if you’re looking forward to testing out the tips and techniques listed above, it’s well worth coming up with a brand new creative project which will allow you to practice your inking skills. If you’re interested in perfecting the art of embossing wood, simply continue reading to discover a few helpful tips which will help you perfect your craft. Wood absorbs ink faster than most other surfaces, so it’s crucial to work quickly when it comes to trying to emboss a wood surface with image or text. By ensuring that you work quickly and diligently you’ll also avoid accidentally burning the wood piece which you’re working on! As wood is extremely porous and soaks up ink in the blink of an eye, it’s important to keep focused and to keep a steady hand when it comes to embossing an ink design on to a piece of wood such as a sign or a wood jewelry box. Many individuals make the mistake of skimping on the amount of embossing powder which they use to create their pieces. Remember to apply a decent coat of embossing powder onto your wooden surface as the more embossing powder which you opt to use, the more visible your finished design will be. If you plan on using stamps to emboss designs onto your wood items, you may be worried that the stamps which you’ll use may become damaged, either by the heat which you’ll use to emboss your wood items or by your embossing powder. 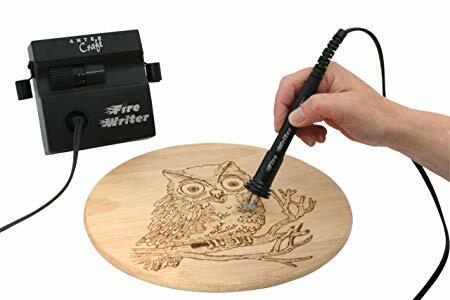 If you’re interested in embossing items such as wooden furniture, signs, and trinkets you can repeat the use of a single stamp in order to create a bold, eye-catching pattern. As an example, you may want to use a star or a flower stamp multiple times in order to create a fun pattern. If you find that your embossing powders begins to set and harden before you’ve had a chance to choose a stamp, don’t worry, all is not lost, just use your heat pen or gun in order to melt your embossing powder into a malleable state again. When you’re new to embossing items, you may find that your embossing powder may bubble up. Don’t worry as any bubbles will just add an extra dimension to the artwork which you’ve created on your wooden item. Although as you become more skilled you may be able to work fast enough to avoid your embossing powder bubbling up! Whether you’d like to emboss a loved one’s initials into a wooden jewelry box or you’re interested in embossing a location onto a sign, it’s well worth following the helpful tips listed above to help you create a high quality embossed product! To learn everything which you need to know about skipping stones, simply continue reading to discover a guide to skipping stones. Skipping stones are essentially carefully shaped stones, which can be skimmed across water. 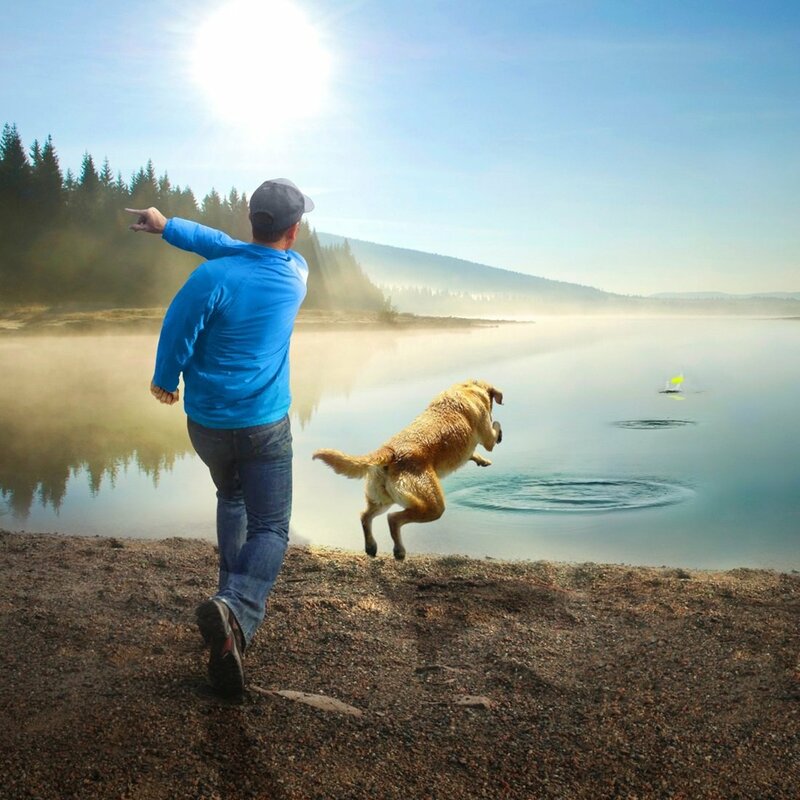 The goal in a game of skipping stones is usually to see how many times your skipping stone can hop across an expanse of water such as a pond, the sea or a lake. Chances are that you’ve tried to skip stones as a child, with one of your parents as skipping stones is a popular past time in most countries around the world. As an example in the UK playing skipping stones is called playing ducks and drakes whilst in Denmark the same game is referred to as smutting. What do skipping stones normally look like? Skipping stones are traditionally flat and wide, which allows them to easily skip across the water. While you can purchase aerodynamic skipping stones, in the past you’d have to search hard in order to find a skipping stone which would be able to make more than 2 jumps across the water. Contrary to popular belief children aren’t the only individuals who’ll find trying to skip rocks. In fact, there are now a variety of professional skipping stones competitions around the world, which attract fierce competitors who are keen to win large cash prizes. One example of an elite skipping stones tournament which is held annually is the Rock and River Festival, which is located in Pittsburg and regularly attracts elite competitors. While some individuals may be skeptical about the legitimacy of skipping stones being referred to as a sport, skipping stones involves skill and talent just like other sports such as golf, tennis, and football. As well as featuring hotly contested elite divisions, most professionally organized skipping stone tournaments also feature amateur divisions which give interested individuals who have no experience competing in skipping stone tournaments a chance to compete against other amateurs. The current record is held for a single throw which successfully skipped a stone 51 times over water. Which is a record which will be extremely hard to beat and should stand to last for a few more years. If you’re interested in trying to skip stones yourself, refer to the following tips in order to learn how to skip stones effectively. The calmer the water you find the better. Ideally, a skipping stone should be flat and wide and should be roughly the size of your palm. Make sure that your thumb is placed on the other side of your rock. Also, make sure that you bend your knees slightly. 5. Bend your wrist forward before snapping it forward to throw your stone across the water in front of you. Hopefully, after reading the above guide to skipping stones, you now have a more in depth understanding of skipping stones. If you’re on the search for useful lifestyle hacks which will make leading an active lifestyle easier, continue reading to discover 6 lifestyle tips which are useful for individuals of all ages and backgrounds. Contrary to popular belief not all fats are bad for your health. In fact, your body actually requires healthy, unsaturated fats, for your body and your brain to function effectively! Examples of foods which are rich in healthy fats, which you should aim to add to your diet include avocado, nuts, and fish. However, if you want to feel healthy and energetic on a daily basis, it’s well worth limiting the number of saturated fats which you consume. Examples of popular foods which contain saturated fats include full-fat milk, cheese, pork, beef, cream, and butter. If you tend to use a frying pan on a daily basis, it’s well worth putting your fry pan away on the odd occasion in order to boil, steam or bake your food. As when you boil, steam or bake food you don’t need to use additional oils or butter. Both of which contain a high percentage of fat and will provide your body with unnecessary extra calories. Which may cause you to gain weight. If you love the taste of butter and normally start your day off by spreading a bit of butter onto your toast, it’s well worth opting for margarine instead of butter. As typically margarine contains far fewer calories than full-fat butter. If you have a tendency to place unhealthy items into your shopping cart, when you visit your local grocery, you can avoid the temptation of purchasing unhealthy foods such as chocolate and chips by opting to purchase your groceries online. As a bonus, you’ll have far more time up your sleeve, if you pre-order your groceries online each week, as most grocery stores will allow you to repeat the same order each week. If you have a habit of salting your food, it’s well worth purchasing inexpensive dried herbs and spices which you’ll be able to use to add flavor to all of your favorite dishes. As consumed in large doses, salt can have a negative effect on your health and can even increase your blood pressure. Skipping a meal is never a good idea as you’ll just be more likely to binge eat during your next meal. As an extra benefit if you start each day off by enjoying a healthy, nutritious breakfast you’ll kick-start your metabolism for the day ahead, which will help you start burning calories, even when you’re sitting in an office chair during your working day! 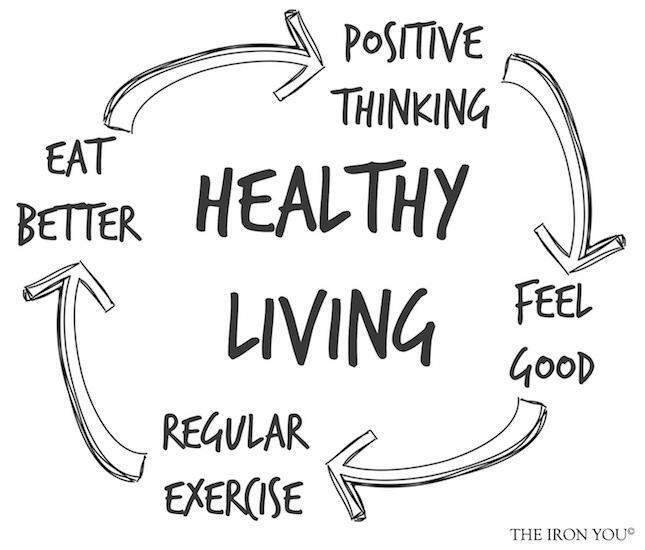 So if you’re interested in leading a healthier lifestyle, it’s well worth following all six of the lifestyle hacks which are listed above. 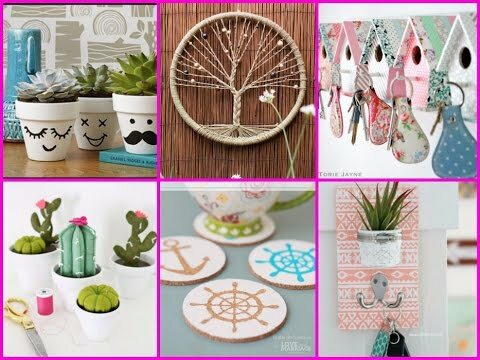 If you find creating DIY crafts relaxing and love the thrill of completing DIY projects, continue reading to discover a variety of fun, easy DIY crafts that you may be interested in completing. If you want to give a new lease on life to your old, white mugs, cups and plates, you may want to consider using tie-dye to turn each mug, cup, and plate that you want to transform into a unique, work of art. If you’re interested you can use your favorite nail polishes as dyes. Simply fill up a bucket with warm water and pour your chosen nail polish into your bucket of hot water. Just make sure to hold your nail polish under the water as you don’t want your nail polish to sit on the surface as your water and need your nail polish to mix into your water. Then use a toothpick to mix your nail polish into your hot water, before dipping your mug, cup or plate into the water. Once you remove your piece, let it dry properly. If you want your piece to feature more than one color, simply let it dry before repeating the process above with a new bucket of water and nail polish color. Whether you’d love to personalize your own coffee cup or you’re looking to DIY a thoughtful gift for a loved one, it’s well worth experimenting with nail polish as a tye dye ingredient. If you’d like to be able to disguise your television when you’re not using it, it’s well worth measuring your flat screen television in order to create a frame for your television, which will make your television look like a piece of art, rather than an eyesore. If you’re interested in using your DIY skills to build a custom-made frame for your television, just be sure to make your frame 1cm bigger than your television, so that it will comfortably fit inside its new frame, without incurring any scratches. Instead of simply throwing out a chaise or ottoman which has faded or ripped fabric, you’ll easily be able to give your piece of furniture a new lease on life by reupholstering your item with an attractive, eye-catching fabric. If in doubt, you can’t go wrong opting for a luxurious velvet fabric in a dark hue such as navy or burgundy or opting for a classic floral print. If you don’t have the skills necessary in order to reupholster a chaise or an ottoman, you may want to work on your sewing skills by creating brand new cushion covers. That way you’ll be able to change your sofa’s cushion covers on a regular basis, which will change the look of your lounge, for a small cost. If you don’t want to spend hundreds of dollars on a new sofa, it’s really worth creating an assortment of varying cushion overs. So if you’re keen to complete a DIY project this weekend, you can’t go wrong choosing any of the four simple DIY projects which are listed above.